No, this is not what a conference should be like: By some obscure coincidence 32 speakers emerge with a talk in their pockets and hit the stage, one after the other. 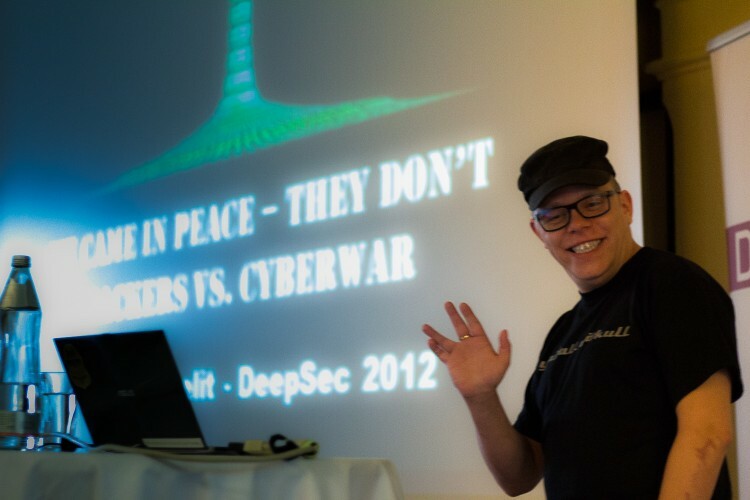 Rather this is true: We are shaping our DeepSec and DeepINTEL events and those who know us a little bit closer are not surprised. We are searching for topics, we are soliciting submissions and we invite people to our stage whom we find interesting, ground-breaking, promising, surprising or just plain ingenious. Additionally we read our CfP submissions very carefully and often we discuss the submissions with the speakers if we are not fully confident where the talk leads to. We also discuss submissions with close friends in the security community whom we trust to be objective, neutral and knowledgeable about new trends and topics. Both of us have a solid technical background and we are able to separate the wheat from the chaff. E.g. “Hole196” would not have made it onto our stage. And while we are at the topic: we both were mildly amused about the submission from Ligatt Security a few years a ago. The line-up of our speakers is not randomly chosen and not based on fame or reputation alone. We even observe sometimes that superstars of the security circus lack brilliance, novelty and something that we really love: Controversy, a little bit of provocation and alternatives to the mainstream. We can fully understand that some people rather stay on the safe side when they address a very large audience. But maybe exactly this is a hindrance to develop better and more efficient strategies to achieve our goal: Mitigating and preventing risk at the highest possible level. We believe that in a landscape that changes so quickly as the threat landscape conservatism is maybe not the best choice. We want the vanguard and lateral thinkers (No! you won’t hear “out of the box thinking” from our mouths!) and being a small conference we can afford not to attract an audience of thousands of people, retreating to the lowest common denominator. We don’t like exaggeration and creation of panic: “Experts are warning: We are all doomed!”, “Everyone can be attacked, only I can save you”… come on, guys, are you serious? […] one of the many fine things one has to admit is the way that the army has carried the American democratic ideal to its logical conclusion in the sense that not only do they prohibit discrimination on the grounds of race, creed, and color, but also on the grounds of ability. We are very proud to receive every year more than double the number of submissions than we have slots for the talks and it also gives a lot of headache which submission to choose. Often we prefer to invite a newcomer to the stage if the content is more promising than the “safe choice” of well established truths, which are repeated all over the place. That’s how we see our events. Again this year we will carefully chose the conference talks and workshops. The DeepINTEL, which takes place the second time, will move to the south of Austria into a rustic ressort in the middle of the Alps close to the Slovenian border and the DeepSec will stay at our traditional Venue, the Imperial Riding School in the center of Vienna. Call for Papers will be open soon for both events. This entry was posted on January 28, 2013 at 12:53. You can follow any responses to this entry through the RSS 2.0 feed. Both comments and pings are currently closed.